Opening Announcement : Squad – Communicate. Coordinate. Conquer. It’s a new week and we have got a big announcement! 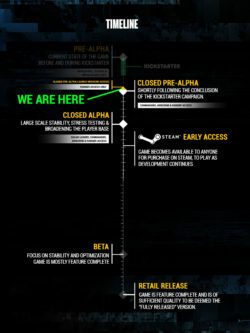 For those that havent been hankering on every bit of news to come out via our other channels (Facebook, Twitter, the JoinSquad Reddit or the Forums), we are ending our Closed Pre-Alpha this week and moving right into our Closed Alpha phase of play-testing and development beginning this Saturday, 26th September at 6AM UTC / Friday 25th September at 11PM PST. 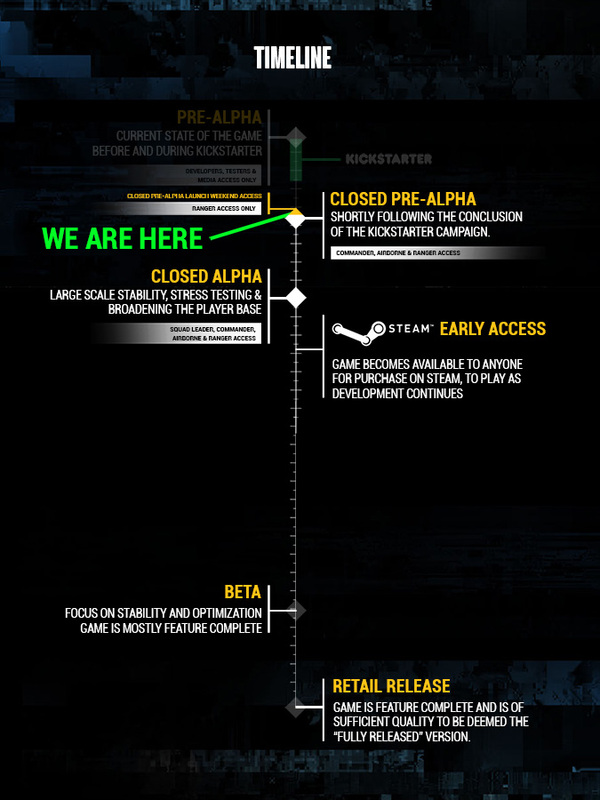 Closed Alpha means that people who have pledged during our Kickstarter at the Squad Leader tier will get access to the game in its Alpha form. Bear in mind that the game will continue to be in development, and we will be moving to a more relaxed Monthly cycle with builds, allowing for greater time between builds and more time for feature development and bug-squashing before it goes to public. Fear not, we will endeavor to put out more regular art and feature related updates during this period. Squad Leaders should be getting their keys and access to the pre-alpha portal over the course of the week, so please keep an eye on your email inbox. We will also be shortly rolling out proper Founder and Backer tags on the forums. Unlike the Closed Pre-Alpha, the Closed Alpha servers will be running 24/7. Modified the scene tint for the incap state to blend smoothly from the low health state. Fixed vfx materials from going pitch black inside shadows and on dark maps. Fixed various issues with revive and incapacitated state. Capsule no longer falls through the ground. Fixed issues discovered when a person becomes incapacitated soon after revive. Medic now heals 1% of health every 0.1s instead of 10% of health every 1 sec, making the ui and healing more fluent. Fixed RPG7 and M27 LAW not having sway and properly aligned sights. Increased bandages for soldiers to 2, medic now has 6. Updated all Logar Valley map layers so flags take 60 seconds to neutralize and 120 to cap updated flag caps to 3 to cap and 60 seconds. Changed Incapacitated HUD icon to be displayed out to 50m instead of 5m, it should help in finding fallen comrades. Fixed blur effect persisting after closing map. We hope that those that have played enjoyed themselves take as much pride in participating as we ourselves have been with bringing a game of this scale and ambition to you all.